There are a few photos going around of late of some of the world’s best known professional golfers in their younger days. John Daly supplied his very own via his Facebook page today. “All the talk of Crooked Stick–sifted thru an oldie but goodie! Oh,,,how young; fun with Tiger. I had just turned 21!! #HoganDays (don’t remember who other 2 are? )”, Daly posted along with the photo. 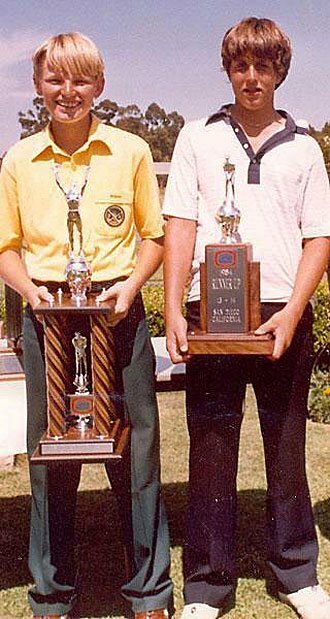 It came on the back of this old school photo of Ernie Els and Phil Mickelson (15 and 14 years old respectively) following the 1984 Junior world Championship at Torrey Pines. The golfer with the bigger trophy won, or you can just tell by the looks on their faces. We may as well conclude with a couple of young shots of the best golfer in the world right now, Rory McIlroy. He’s hardly old enough to warrant bringing out the old photos yet. 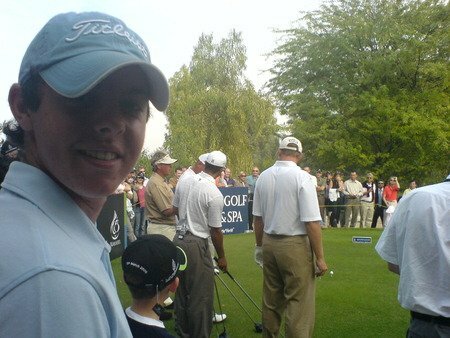 the first is obviously a very young McIlroy, the second was a self-portrait taken from the gallery as he watched Tiger Woods, Darren Clarke, Ernie Els and Thomas Bjorn play an exhibition event in Dubai in 2006.